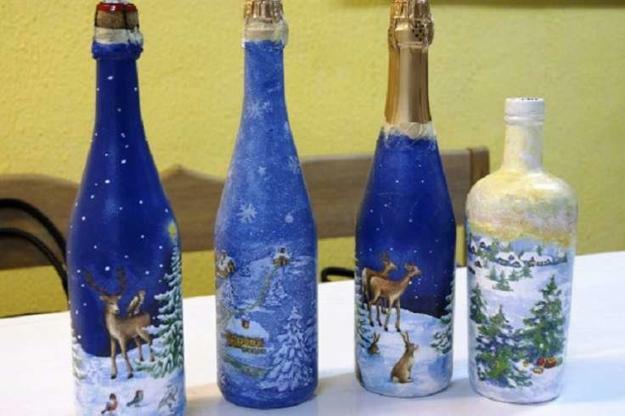 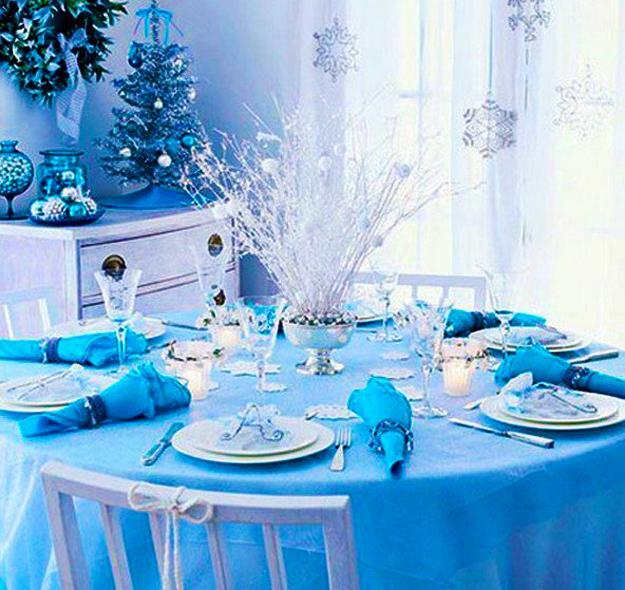 What looks better than white and blue colors for winter holidays? 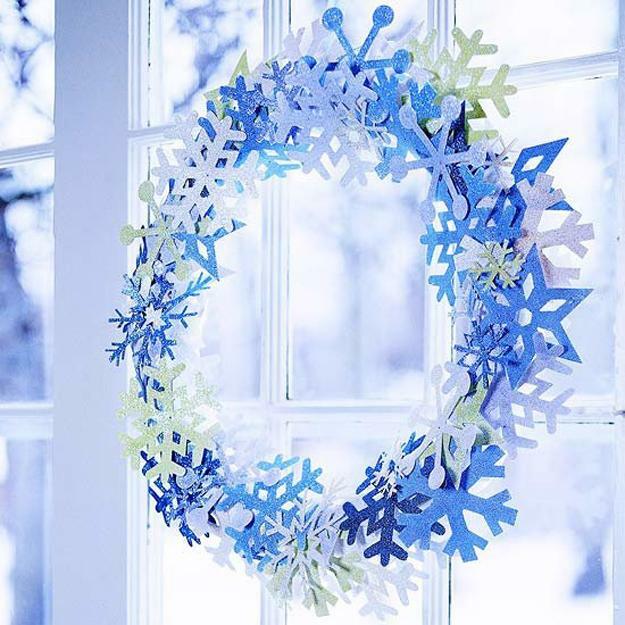 Vibrant and festive green and red color combinations are traditional Christmas color choices, fabulous blue color tones open a new story, bringing the modern trends in decorating for winter holidays. 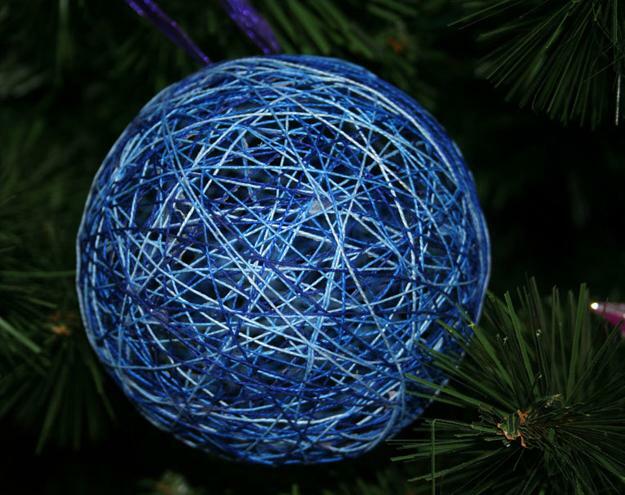 Christmas colors signify spiritual concepts in an easy-to-understand, visual way. 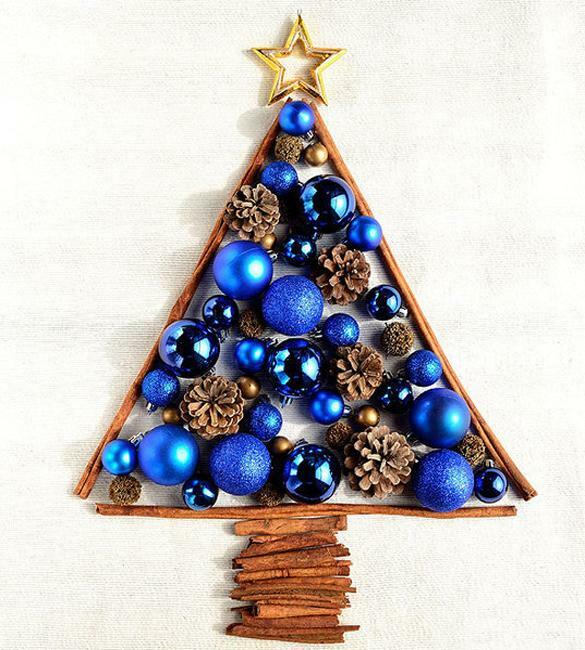 Christmas colors bring emotional responses and add meaning to the winter holidays. 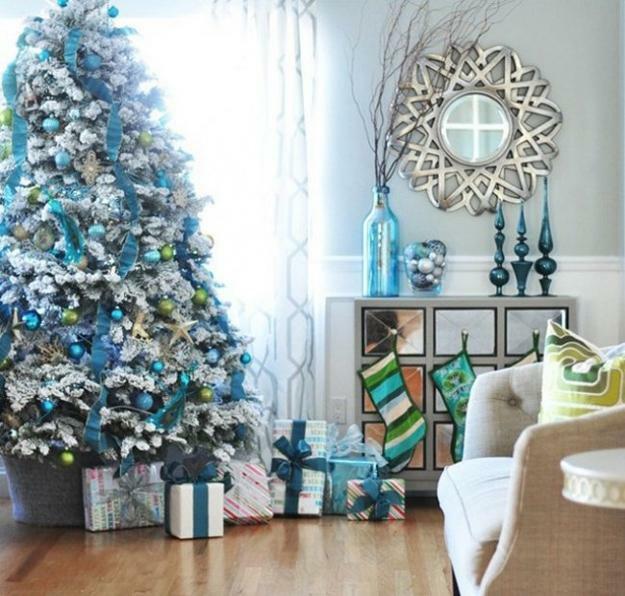 Blue color tones and white decorating ideas create beautiful Christmas color combinations that always guarantee success. 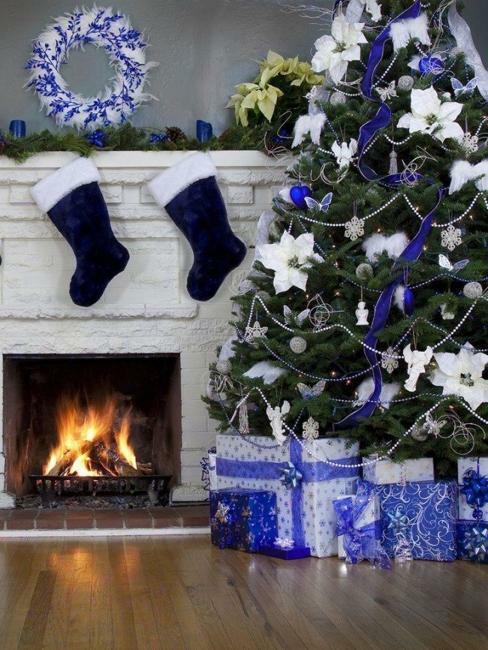 White tones light up dark corners of winter rooms, while blue colors create striking contrasts and enrich Christmas decor. 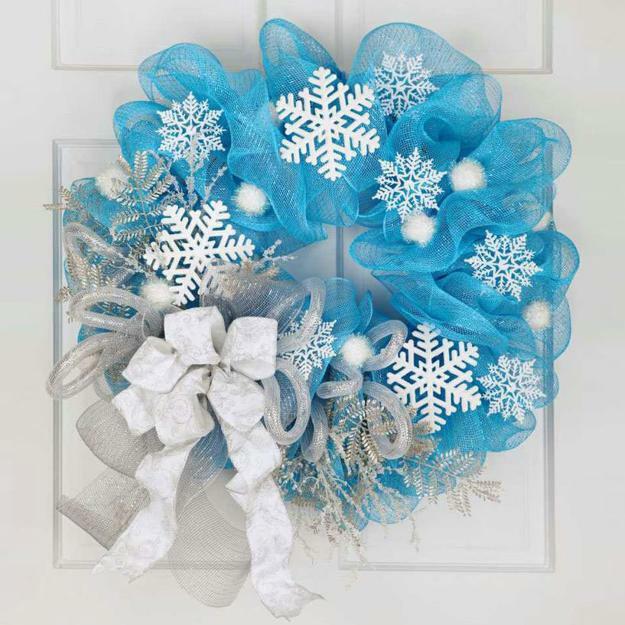 White if refreshing as snow, blue is mysterious as the holy night skies. 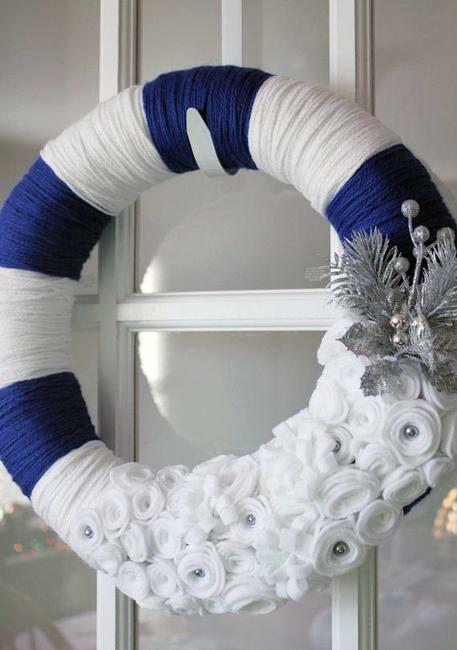 White signifies a new start, and blue color tones suggest the eternal nature and omnipotence of God. 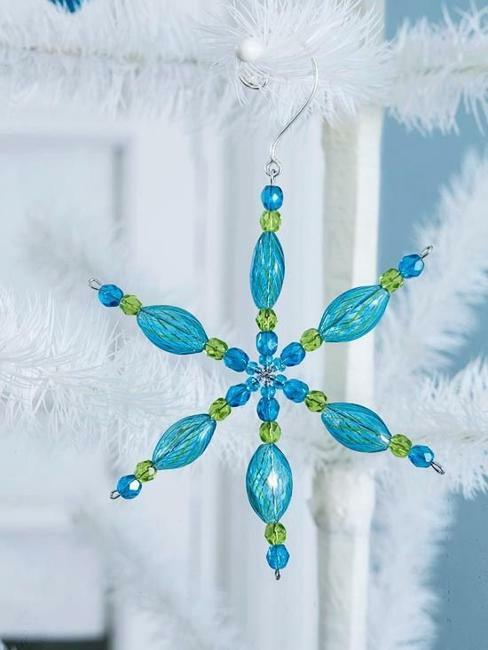 Christmas colors are powerful tools to enhance the spirit of the winter holiday. 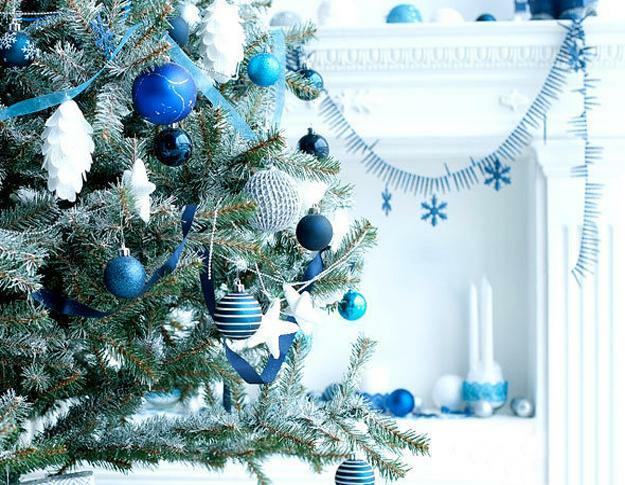 Consider using white and blue color combinations for your Christmas decorating and add the magnificent beauty and freshness to your Christmas season. 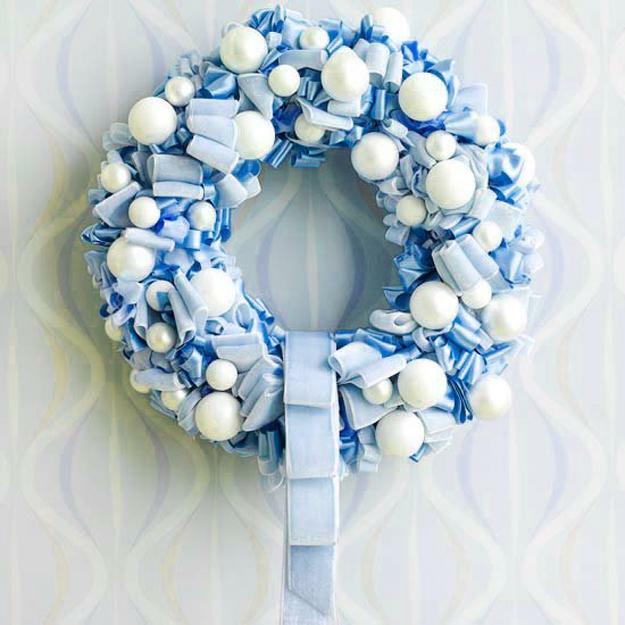 White on blue or blue on white are gorgeous color combinations that make a statement of elegance and classy sophistication. 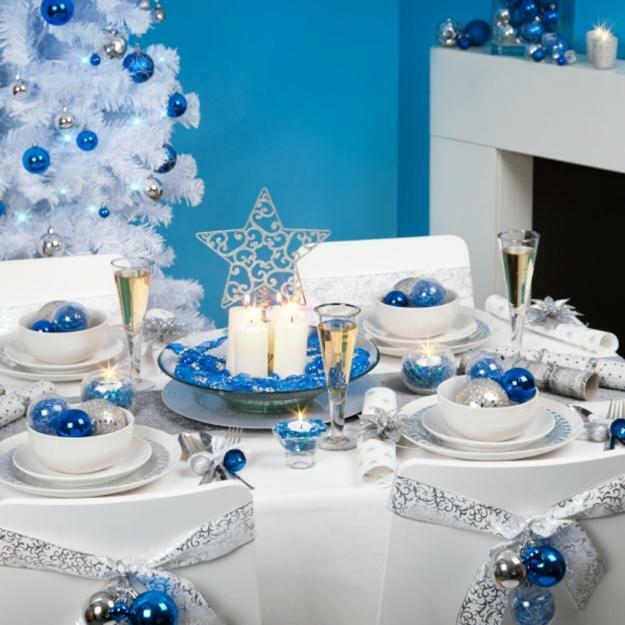 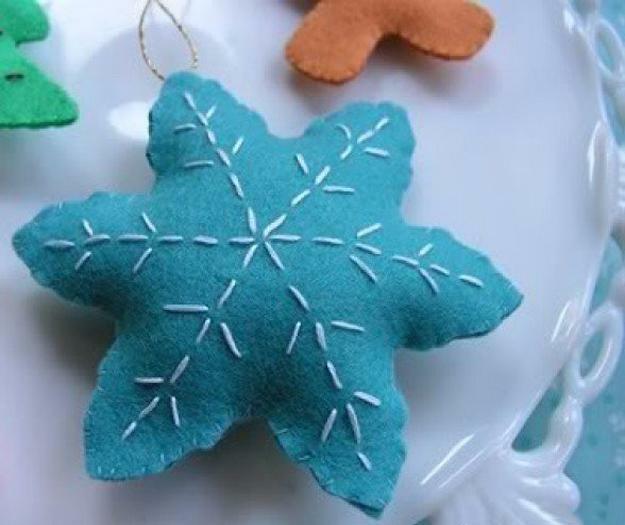 White table linens with blue embroidered napkins or blue Christmas balls set beautiful holiday tables. 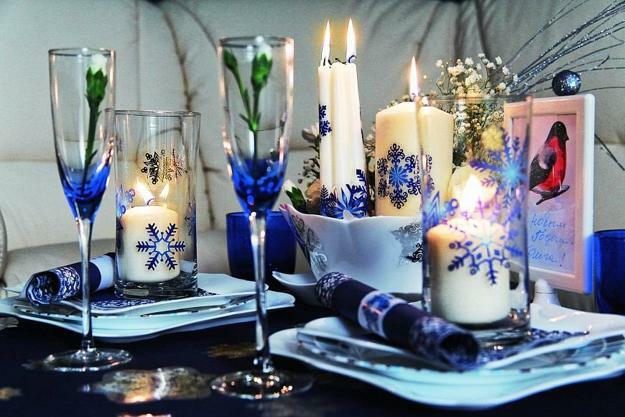 White snowflakes and candles grouped with Christmas decorations and textiles in blue colors are ideal color combinations that look fantastic for winter holiday tables. 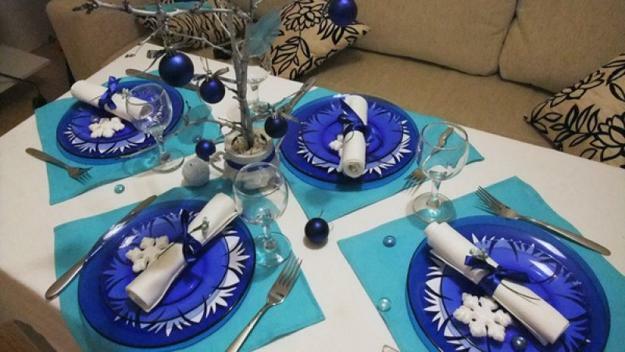 A few strategically placed white poinsettia blooms or other white flowers look bright and beautiful with tablecloths and table decorations in blue colors. 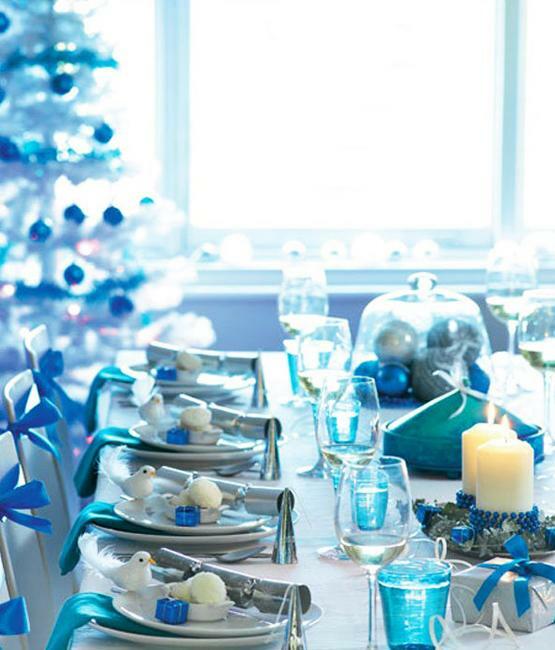 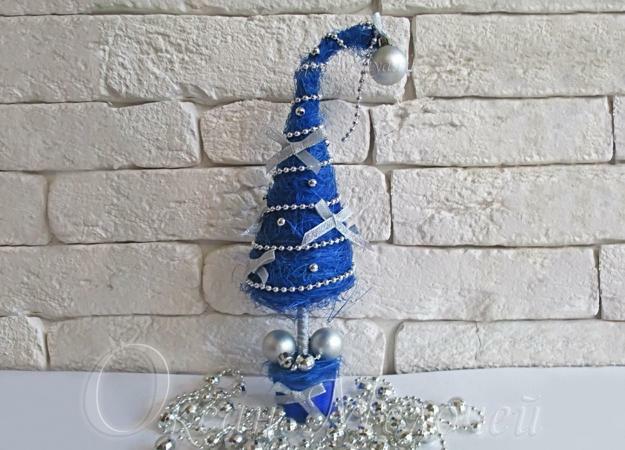 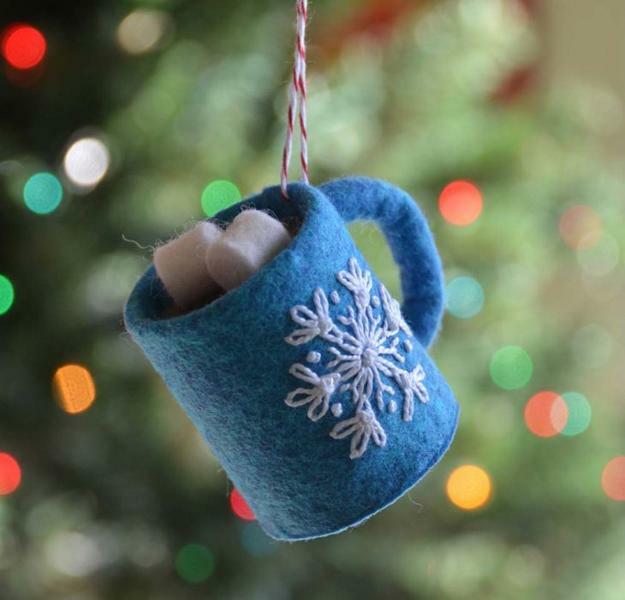 White and blue color combinations add to the elegance factor and create unforgettable Christmas decorating.